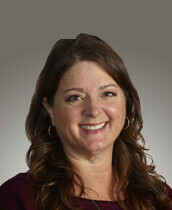 With over thirty years of experience in a professional business setting, Amy brings a wealth of knowledge to the team. She handles many of the daily administrative tasks and duties involved in the operations and functions of UDC and its sister companies. Born in Fayetteville, North Carolina and raised in Jonesborough, Amy has lived in East Tennessee her whole life. Currently, she resides in Telford with her two kids, one dog and four chickens. She started with UDC in the summer of 2018 and we’re fortunate to have her on our staff.